This week on The Plus Factor, we’re talking about an herbal ingredient earning a blazing reputation in the wellness world: marijuana. Remember when cannabis had a not-so-healthy image? (Think red eyes and munchies.) 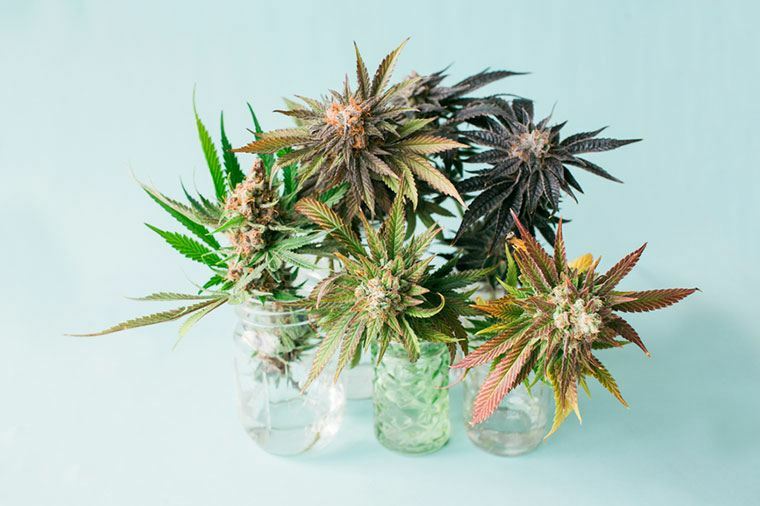 Well, those days are fading fast, as the potent plant’s healing powers have started to attract some serious interest from wellness brands in all categories—food, beverage, beauty, and beyond. So if pot’s healing potential is old news, why is there such a blaze of activity around it at this very moment? Right now investors are throwing tons of money at the marijuana wellness market, spurred on by eases in drug regulations surrounding the plant. In fact, support for pot is growing, despite the fact that new Attorney General Jeff Sessions has taken a hard-line stance against its legalization. Those in the industry, like Miller, are observing what she calls an “increased permission” to partake from consumers thanks to marijuana becoming more mainstream. In the not-so-distant future, she predicts you’ll be able to buy snacks, beauty products, and medicine containing some strain at places like CVS and Walmart. But until then, there are plenty of new ways to legally explore the benefits of bud for wellness purposes. Now that’s dope. Keep reading for 7 ways cannabis is set to make its mark on the wellness industry this year. Back in the day, consuming cannabis was quite a process. You had to decode a long list of cryptic names. (Blue Dream or OG Kush?) You needed to roll a joint or pack a bowl with just the right dose, and most likely make a mess in the process. And then, of course, you actually had to smoke it—which is a pretty big turn-off for those who rely on their lungs to get them through half marathons and HIIT classes. But now, a wave of new delivery methods are making the whole process much easier…and a bit healthier. Brands like W!nk and Quill have created vaporizer pens that dole out consistent doses of high-quality cannabis oil extract, while reportedly being gentler on the respiratory system than smoking. A wave of new delivery methods are making the whole process much easier…and a bit healthier. Hmbldt takes that idea a step further with its pre-loaded pens, offering targeted blends of cannabinoids (the chemical compounds that give cannabis its healing properties) and terpenes (aromatic oils that lend the plant its taste and smell) for specific functions. Formulas include Sleep for insomnia, Calm for anxiety, Arouse and Passion for libido, and Bliss for mood elevation. What if smoking makes you gag, vapor included? Thanks to Aceso, you can mix up a cannabinoid drink powder or use the extract therapeutically by spraying it under your tongue to relieve anxiety or pain, or boost immunity. “The [medicinal cannabinoid] CBD is absorbed really quickly when you spray it under your tongue,” says Aceso product manager Kurt Forstmann. And you can use the brand’s formulations at work, on airplanes, or in other non-smoking zones. Don’t live in a state where cannabis is legal? Aceso’s products include less than .03 percent of THC, the psychoactive component of cannabis, which is the US legal limit. Kale, apple, lemon…CBD? Cannabinoids are making a splash on the wellness beverage scene, too, with several new arrivals appearing in the last few weeks alone. In New York, T Salon founder Miriam Novalle launched High Tea Today, a new line of loose-leaf and cold-brew teas made with an oil form of the medicinal compound—look for them soon at Hyatt Hotels and Fairway grocery stores. On the West Coast, buzzy LA restaurants Café Gratitude and Gracias Madre are also offering juices, smoothies, and cocktails with a hit of CBD oil, just in case guests want to get extra mellow over dinner. And nationwide, functional tonic brand Torii Labs just dropped Re-Leaf, a shot of the calming compound extracted from an organic strain that promises to soothe the nervous system, boost immunity, and calm inflammation. Buzzy LA restaurants are also offering juices, smoothies, and cocktails with a hit of CBD oil, just in case guests want to get extra mellow over dinner. Like Aceso’s CBD powders and sprays, these drinks won’t get you high. (Well, at least not the non-alcoholic ones). But Lulu Luchaire, Torii Labs’ co-founder, says there are still plenty of reasons to get excited about them. Good news for those who won’t touch a conventionally grown tomato, let alone risk even a contact high from cannabis that isn’t grown responsibly: As marijuana prohibition comes to an end in many places, an increasing number of farmers are bringing their crops out of the darkroom and into the sunlight, turning to more natural growing methods in the process. Forget the sketchy pot brownies and gummy bears of your sorority days. Cannabis edibles are being reimagined for a discerning, high-end customer who’s probably pairing her spiked chocolate with a (pricey) bottle of biodynamic wine, for example. Cannabis edibles are being reimagined for a discerning, high-end customer who’s probably pairing her spiked chocolate with a (pricey) bottle of biodynamic wine. That’s why Capobianco and her business partner, Robert Rosenheck, started Lord Jones, creating small-batch, dose-controlled candies (think all-natural gumdrops and espresso chews wrapped in Hermes orange packaging). LA’s Marigold Sweets and To Whom It May are two other cannabis confectioners known for their ultra-clean, handmade cannabis chocolates, which come in flavors such as Fleur de Sel Caramel and Cherry Cayenne. And on the non-mind-altering front, healthy meal delivery service Sakara debuted CBD chocolates this year, made with hemp oil. 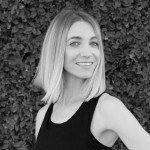 “Because of its calming effects, Ayurvedic practitioners view CBD as having a direct influence on balancing Vata [energy], which, when imbalanced, can cause feelings of anxiety and fear,” Sakara co-founder Whitney Tingle says. “CBD is the embodiment of plant foods as medicine, which is a fundamental principle of the Sakara life.” It’s also, apparently, now part of a balanced diet. Concerts are no longer the only places you can get high in a crowd. Cannabis circles are popping up from coast to coast, creating community around the ritual. Want to try your hand at shibori fabric dying or macramé weaving in between tokes? Join one of the Make and Mary cannabis crafting workshops in Portland, OR. Interested in the farm-to-table food scene? Keep an eye on Flow Kana—in LA, they recently hosted a cannabis-inspired dinner with Outstanding in the Field, complete with weed pairings. Care to give your smoke sesh some women’s circle vibes? Check out a Cannabis Feminist event in LA, dedicated to making marijuana more accessible and appealing to women. Why? CBD-infused body care products from brands like Lord Jones (which, in addition to edibles, also has a line of buzz-worthy lotions) and Apothecanna are adept at relieving inflammation, making them suitable for everything from muscle aches to eczema and psoriasis. Facial-care lines from the likes of CannaCeuticals and CBD For Life are also causing a stir. Their antioxidant-rich, cannabinoidal extract-laden enzyme treatments, eye creams, serums, and more are being touted for their anti-aging properties. Expect the mainstream skin-care world—including clean beauty brands—to follow suit as regulations continue to relax. When many people imagine a marijuana dispensary, they think blacked-out windows and bulletproof glass. Not exactly full of healing juju, eh? The “modern druggist’s” white marble-and-metal interiors are Instagram-worthy, and its curated selection of goods looks like it belongs in a high-end design boutique. And luxury cannabis suppliers like Canndescent has done away with the Phish-era strain-naming practice entirely. In place of nomers like Sour Diesel, it instead identifies its buds by the way it’s supposed to make you feel, opting for straightforward names like Calm, Cruise, Connect and Charge. But by far the most high-vibe (literally) shopping experience right now is at the three Serra dispensaries in Portland and Eugene, OR. The “modern druggist’s” white marble-and-metal interiors are Instagram-worthy, and its curated selection of goods looks like it belongs in a high-end design boutique. The luxe-infused wellness cannabis scene? It’s lit. Another drug that’s seeping into wellness circles: LSD. One exec explains how microdosing supercharges his job performance, while this famous writer shares how she used the technique to manage her depression.